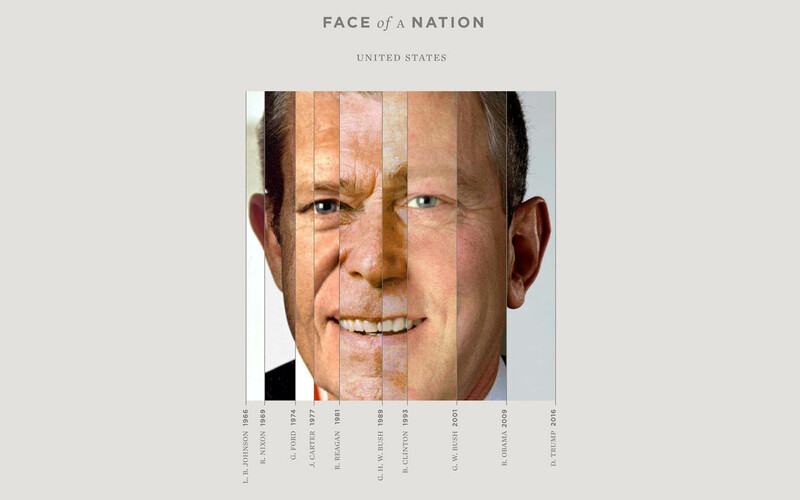 Turkish-born, Amsterdam-based art-director Güney Sokayn had this simple but intriguing question – do composite portraits of nations’ leaders say something about those nations? 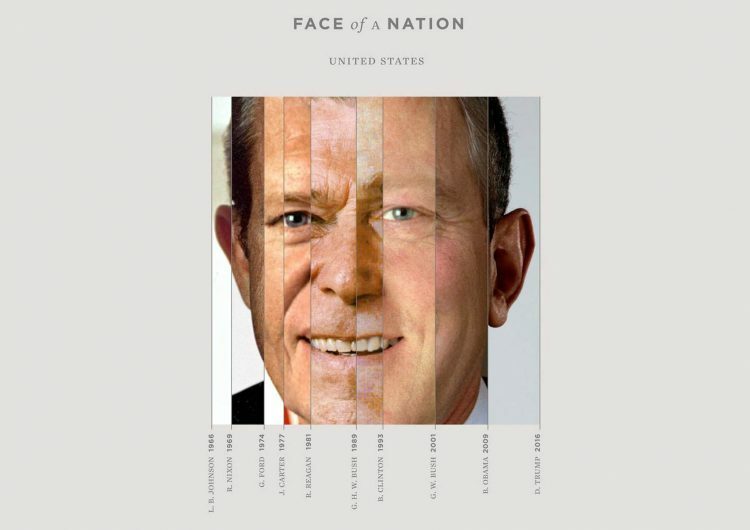 This is where the idea for Face of a Nation originates. It is a personal curiosity project that aims to create portraits of different nations based on their leaders from the past 50 years. 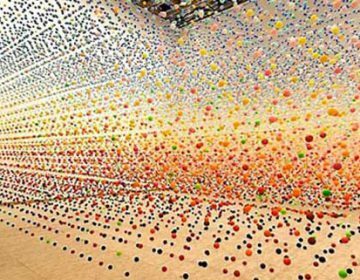 To this end, Soykan took photos of presidents and prime ministers, spliced them vertically and put the resulting strips together, forming new, composite portraits. The strips are ordered by the periods these men/woman governed. The width of each bar represents the duration of each government.